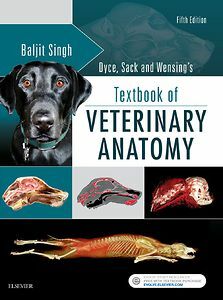 Dyce, Sack, and Wensing's Textbook of Veterinary Anatomy, 5th ed. 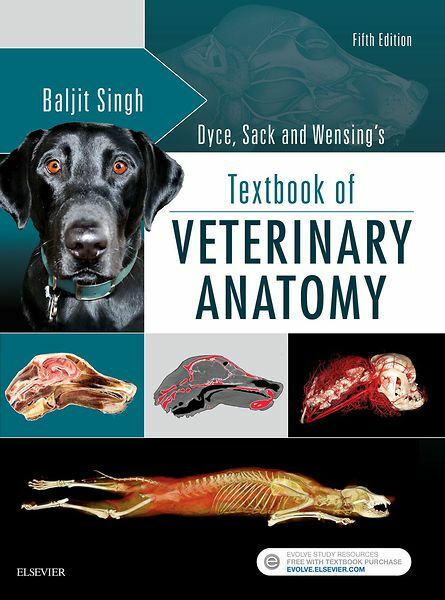 Gain the working anatomic knowledge that is crucial to your understanding of the veterinary basic sciences with Textbook of Veterinary Anatomy, 5th Edition. Each chapter includes a conceptual overview that describes the structure and function of an anatomic region, and new diagrams facilitate comprehension of bodily functions.